Does someone you know like a cheeky glass of wine or champagne from time to time? 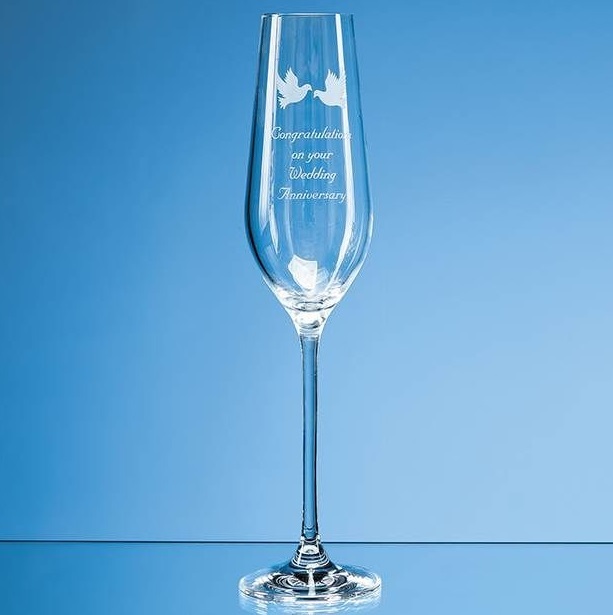 These elegant Aura crystalite glasses are perfect for a generous glass of wine/champagne. 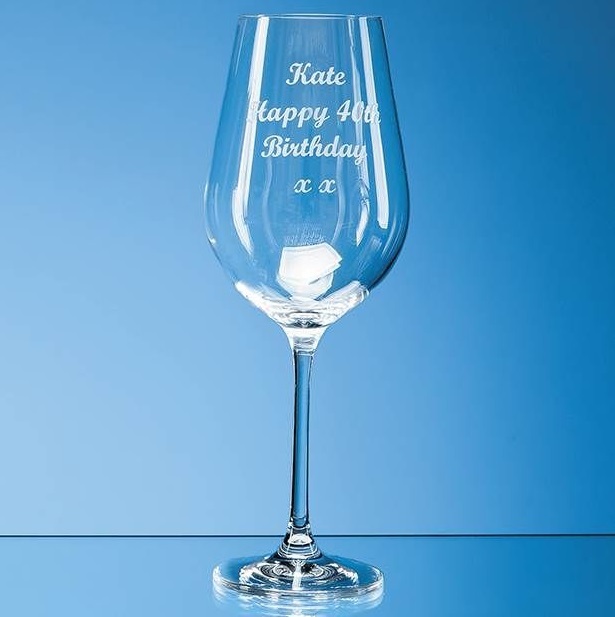 There is space to engrave an inscription, logo, crest or message. It would be a stylish and sophisticated memento or gift for any occasion such as a work farewell, engagement, birthday or anniversary. 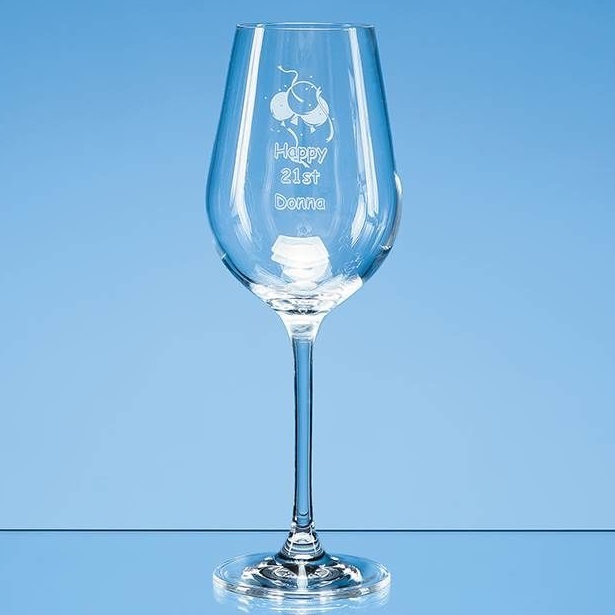 The glasses available are 230ml Champagne Flute 265mm x 55mm, 350ml Wine Glass 225mm x 75mm and 470ml Goblet 240mm x 80mm. All text engraving charges and standard images are included, if you require your own customised logo there is a one-off set up fee. Please note that if you are buying more than one item with same logo you only need to upload the logo once. It comes in a skillet box as standard or a silk lined presentation box for an additional charge.